You guys have requested this for quite some time and I've been wanting to do it as well, just had to wait for the October shenanigans to end! 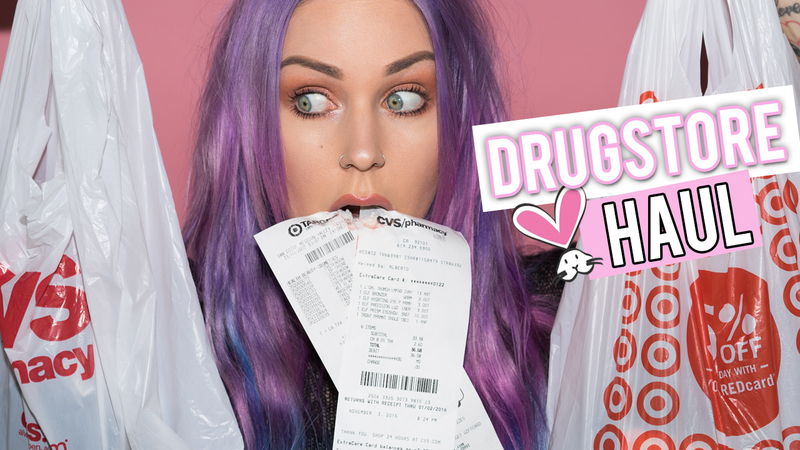 :P I visited CVS and Target to show you guys some of the brands that are C.F. and affordable. Wal-Mart also has a lot as well, probably more than CVS and Target. Wal-Mart carries a brand called Hard Candy which is cruelty-free. It's the brand of highlighter I'm ALWAYS wearing. They were so small at one point, while still in Wal-Mart, that I emailed the company because at the time I had a boutique and I was interested in carrying it, the owner emailed me back! So awesome, I love that. Here is the Peta link to check if something is cruelty-free. I always check this first, then head to Leaping Bunny or cruelty-free kitty, and/or google. I do not agree with Peta's beliefs for the most part, however their database is an easy one to use. Please note that they do not update it super often, so always get a second opinion or five on google. I made the webpage a button on my iPhone. You can do this by going to the website, then click the little box with with the up arrow on it on the bottom of your phone screen, and click "add to home screen" then that will create an app looking button on your iPhone that will automatically take you to this webpage. Fancy huh?